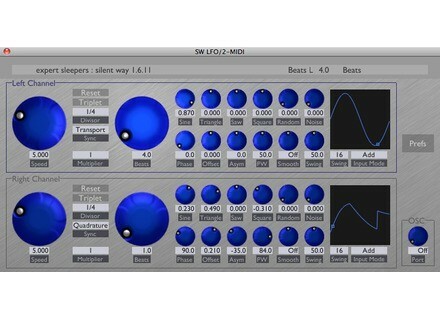 Expert Sleepers has updated Silent Way to version 1.6.4. 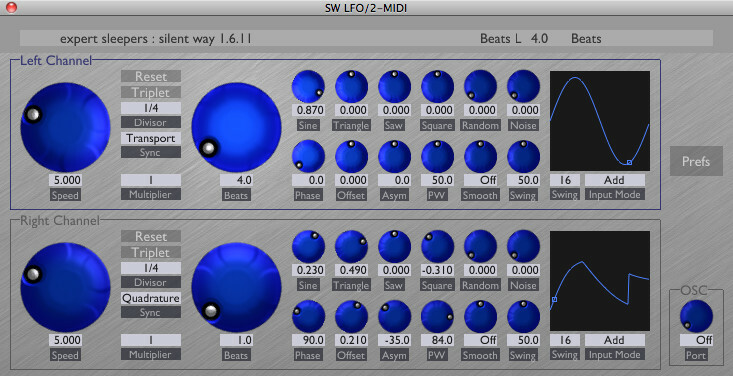 Added support for the Expert Sleepers ES-2-2 module to the Silent Way CV Input plug-in. Added a 6 channel variant of the Silent Way AC Encoder VST plug-in, for convenience of use in Cubase where a 6 channel bus is being used for the Silent Way Voice Controller plug-in. Focusrite Midnight Plugin Suite Focusrite has announced the release of the Midnight Plug-in Suite, which brings Focusrite's sonic signature to your music production software through modelling of the ISA110 EQ and ISA130 Compressor. MOTU Interfaces Pro Tools 9 Compatibility MOTU announced that all current MOTU FireWire, USB, and PCI audio interfaces are compatible with Pro Tools 9, including the UltraLite-mk3 Hybrid, 828mk3, 896mk3, 8pre, Traveler-mk3, 2408mk3, and MicroBook. DirectSynth DirectEMX DirectEMX is a VSTi MIDI plug-in designed to allow you to control in real-time the sound shaping parameters of the Korg EMX-1 Music production station in your DAW.